The refrigerator is probably the most important, if not one of the most expensive appliances in your home. Its a big purchase that we try to make only once. We bring them home, plug them in and expect them to run forever. But we need to do a little maintenance and housekeeping along the way. Here are 10 steps to keeping your refrigerator running efficiently……. Stop throwing your money into the garbage every week. 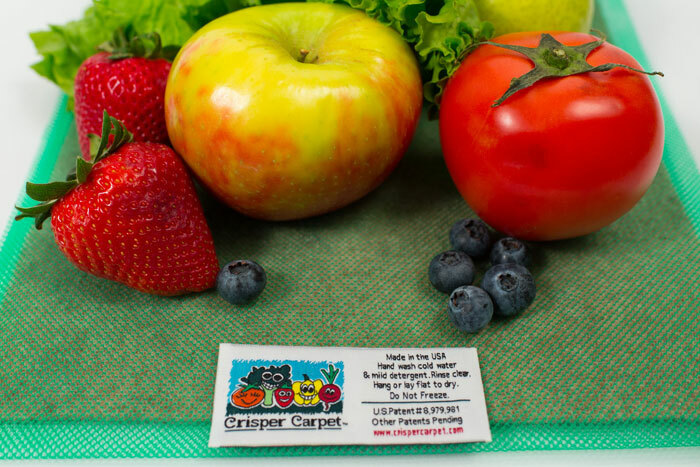 Get a Crisper Carpet today, and keep your fruits and vegetables fresh longer! Limited offer: Save $5.25 with the code FREESHIP to get free shipping! Crisper Carpet is a patented product. Its making or selling without the permission from the inventor is prohibited and punishable by law.